So this is the replay of a typical trip with the family to the McDonald’s drive-thru growing up. This was a trip myself and my three siblings looked forward to. I’m still not sure what it is about McDonald’s food that makes it so exciting to kids, but it sure was ! Mom, Dad and us four kids would pile into the Country Squire and head to the drive-thru. My dad wasn’t a huge fan of eating inside (we were pretty destructive) but we were ok with the drive-thru. We were still getting McDonald’s ! Welcome to McDonald’s may I take your order ? Me : I want a cheeseburger meal ! Sibling #1 : I want a chicken nugget happy meal ! Dad : Can I get a chicken nugget and a cheeseburger happy…. Me : No, a cheeseburger meal ! Sibling #2 : I want a cheeseburger happy meal ! Sibling #3 : I want a cheese burger happy meal too !! Mom : I want a chicken sandwich meal with a vanilla shake. All siblings : I want a shake too ! 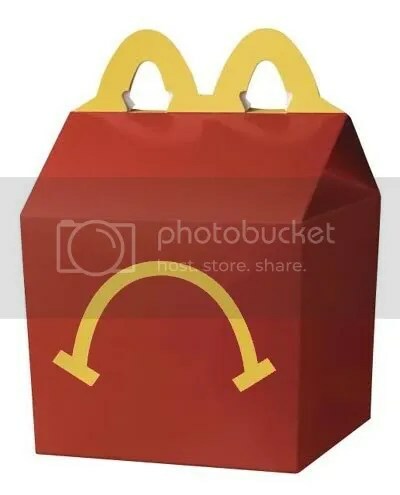 Dad : No shakes !…one chicken nugget happy meal…did I already ask for hamburger happy meals ? McDonald’s : I’ve got cheeseburger, did you want hamburger ? Siblings #2 & #3 : Nooooo ! cheeseburger !! McDonald’s : Excuse me ? Mom : Don’t forget the shake. Share this post, share your stories with us and don’t forget to follow us! A list would have made no difference. By the time we would get to the microphone, everyone would have changed their minds! Great memory! ← These are my privates! !